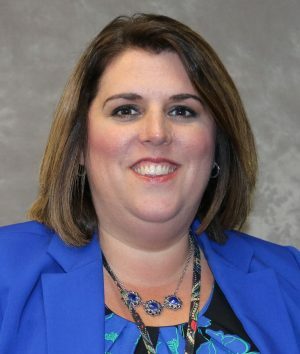 PHOENIX – Amy Godkin, who was recently hired as assistant principal at Michael A. Maroun Elementary, is no stranger to the Phoenix Central School District. The longtime Emerson J. Dillon Middle School English teacher made the transition from the classroom to administration beginning last year. She served as administrative intern at EJD for the 2017-18 year and accepted a position at the elementary level to begin this school year. With a year of administrative experience under her belt, and with Certificates of Advanced Study in building and district leadership, she noted she is looking forward to her new role within the PCSD. “My goals are to become familiar with the students and families at MAM, be part of initiatives and programs that best support learning for all of our students, and to be available for students and parents when needed,” Godkin said. In addition to focusing on connecting with students and their families, Godkin said she also focuses on the bigger picture and the long-range success of Phoenix students. With a firm vision for student achievement, Godkin said she is looking forward to a successful first year at MAM.